Nonprofit Governance: What’s your flavor? This Craig David song makes me groove across the dancefloor. Now you know. Fun Fact: I used to live in Korea, and while I was there, I learned about the many flavors ice cream can be in foreign countries. Such as Durian. Red bean. Kimchi. Lychee. Such variety! So have you ever seen a board member go from the board straight to executive director of the same charity, without any previous nonprofit experience? 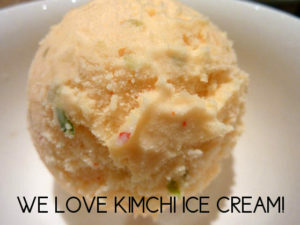 As ice cream flavors go, I think that’s probably durian kimchi rat surprise. Yuck. Good governance is one of the most important things a charity needs for success. When there is no governance, a charity can become a farce, and dishonest. It can start to abuse its workers, and embezzle funds. In America, for example, there are 1.6 million charities, most of whom have budgets of under $50,000, and most of whom have very little oversight. When I worked at a charity with a $900,000 budget, there was still very little oversight, and this ended badly for the charity. There are benefits to being a chair before you’re the CEO or Executive director, but an important distinction to consider is NOT to be the chair of the same charity right before you’re the executive director, because the people on the board will most likely be your friends, and they won’t be able to offer oversight that the charity really needs. They’ll be biased towards you, instead of trying to do what’s best for the charity. What do you think? Have you ever seen a charity that has had a Chair become interim and then CEO without problems? What’s your fave ice cream flavor? And what’s your favorite type of governance? What are some good ways to do a leadership transition at a nonprofit?